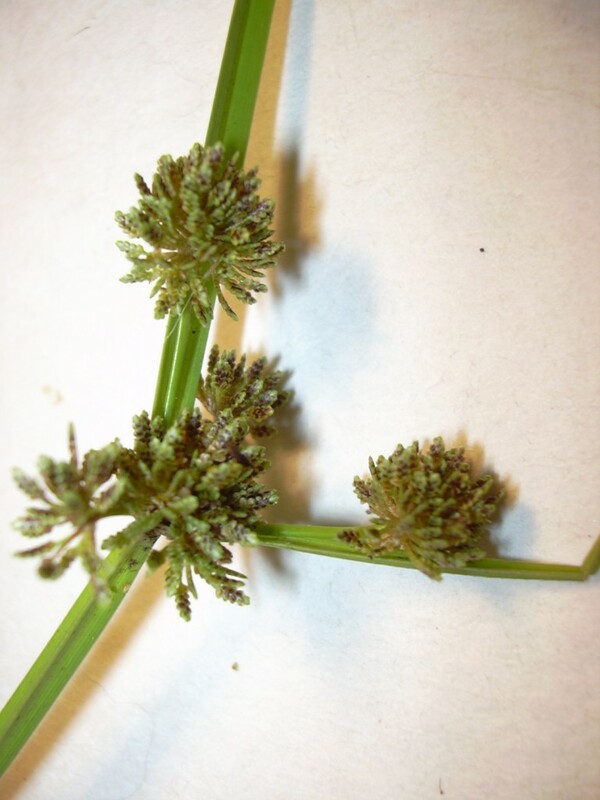 Cyperus difformis is an annual C3 sedge (Li et al. 1999), tufted, stems 20-60 cm tall. Leaves few, at base of stems; inflorescence with 2-4 elongate bracts. Flower spikes round, to 1.2 cm diameter, densely flowered, very fine, darkish, mealy-looking, spikelets numerous, fine, very small, to 0.8 cm long, 10-40 flowered, flower scales less than 0.1 cm, reddish to brownish along sides, egg-shaped, achene 3-sided, pale yellowish about as long as scale. Wetland status: NL, but growing in wet soil.